Not one suspec­t has been arrest­ed throug­h invest­igatio­ns in terror­ist attack­s since 2011, court told. Not one suspect has been arrested through investigations in terrorist attacks since 2011, court told. Not a single attacker has been arrested through investigations by police and the Frontier Corps in the nearly 2,000 terrorist attacks across Balochistan since 2011. The disclosure was made in the Supreme Court on Monday by the Frontier Corps Inspector General Major General Obaidullah Khattak, who claimed that those in FC custody had either surrendered to the authorities or confessed to their involvement in around 886 terrorist attacks. 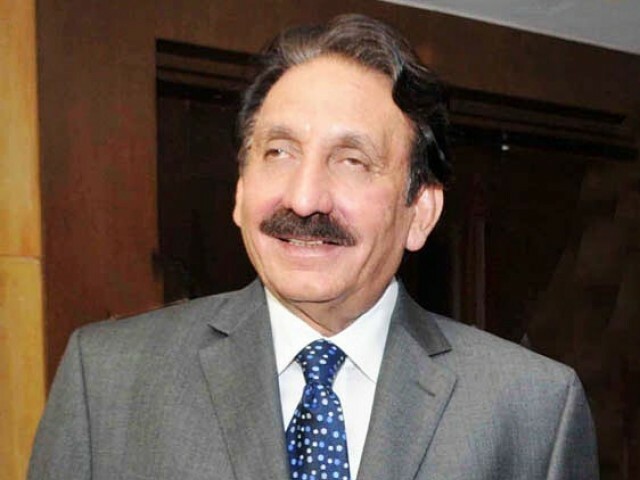 A three-member bench of the Supreme Court, headed by Chief Justice Iftikhar Muhammad Chaudhry, resumed hearings in cases pertaining to the law and order situation in Balochistan and the missing persons issue in the province. The chief justice observed that the alleged involvement of the FC was present in a whopping 95% of the missing persons cases. Meanwhile, Justice Khilji Arif Hussain observed that even though the FC and security forces once enjoyed the trust and respect of the public, the situation had taken a horrible turn due to their flawed strategies. On Monday, Major General Khattak appeared before the Supreme Court in three cases in which the FC was allegedly being held responsible for abductions. He informed the three-judge bench of the apex court that efforts were under way to trace the missing persons. The court, however, was not won over by Khattak’s arguments and told him to keep the FC’s activities within the law’s ambit. During proceedings, a video was also aired showing FC personnel arresting a boy who is now missing. Major General Khattak denied the charges, saying that there was a possibility that unidentified miscreants had used the FC uniform during the kidnapping, adding that as per the FC’s standing operating procedures (SOPs), at least two vehicles operate side by side in the province. The court raised several questions after watching the video but the FC IG could not satisfy the court in this regard. Khattak was dumbfounded as to why the vehicle was not stopped at the checkpoint by security officials, but said that the checkpoint did not belong to the FC. The chief justice went on to ask whether the FC and police were on same page regarding the maintenance of the law and order situation in the province. The court then gave the FC and police chiefs 30 minutes to form a strategy for the recovery of the missing persons. After the joint conference, the Inspector General Police (IGP) Balochistan and FC IG assured the court that they realised their duties and they would ensure the recovery of missing persons before May 21 — the next date of hearing. The court asked both top officers to make joint efforts for the recovery of missing persons. General Khattak gave assurances of progress to the court and said that it had become the ‘common objective’ of the courts and law enforcement agencies to stabilise the situation in the province. Balochistan DIG Hamid Shakeel reiterated his earlier statement before the court that traffic police officials had witnessed FC personnel abduct Mehran Khan, son of Murad Khan, in broad daylight. Published in The Express Tribune, May 15th, 2012. These are unusual times for Pakistan. Separatists are attacking FC jawans, are killing the settlers and destroying transmission lines and gas installations with the active support of foreign intelligence agencies. FC is working for the country and not for its personal cause. Let us not demoralize FC as a force and help the terrorists inadvertently, by giving too much judicial attention to the missing persons case.